Curt began his career in 1987 with an established Wall Street firm where he served as Assistant Vice President and Branch Manager of the San Jose, California office. He chose to leave his management career in 1999 to focus exclusively on serving his client’s personal financial needs. Curt has extensive experience and education in his field. He holds a B.S. in Business Administration from Bryant University in Rhode Island, received his designation as a CERTIFIED FINANCIAL PLANNER ™ practitioner from the Certified Financial Planner Board of Standards, and was awarded the CHARTERED FINANCIAL CONSULTANT designation from the American College’s Huebner School. Through his affiliation with Securities America Inc., Mr. Davis maintains six securities registrations and is currently a Registered Principal with the firm. In addition he holds a life/health insurance license. Curt serves on the Board of Directors for the faith based non-profit Ishimwe Center, a rescue home for street children in Rwanda, Africa. 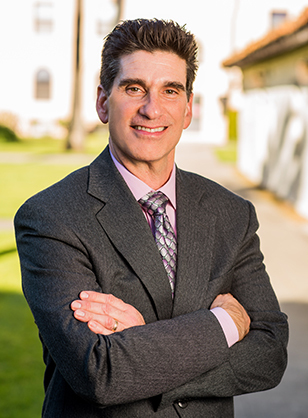 Additionally, he is a member of the Silicon Valley Chapter of the Financial Planning Association and conducts seminars for groups and organizations as a community outreach. Curt enjoys spending time with his family, traveling, reading, cycling, playing the trombone, and is actively involved at his church. He and his family reside in San Jose, California.